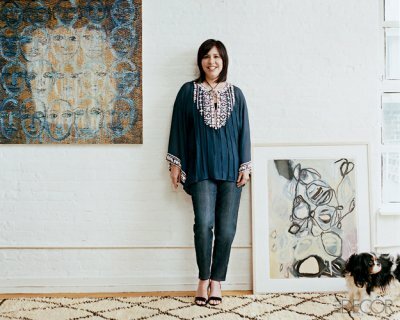 Madeline Weinrib, the granddaughter of the founder of ABC Carpet and Home (one of my favorite stores) is busy with the release of a new wallpaper for Studio Printworks and is covering modernist furniture in her signature ethnic prints for a show in a Chelsea Gallery. 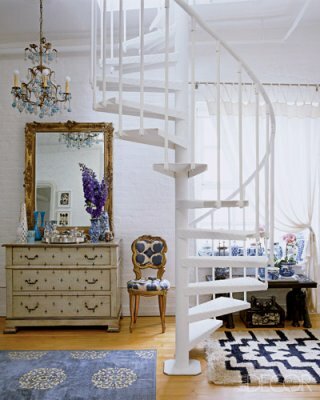 When not globetrotting for inspiration and shopping for vintage textiles, Madeline can be found in her 6th floor atelier in ABC where she sells her beautiful silk pillows, artisanal carpets, accessories, a growing furniture line and fabric by the yard that ( I swear) looks good on ANYTHING! Madeline is also a trustee of Project Mala, a non profit dedicated to eradicating child labor in the carpet industry. I never met an Ikat I didn't like! 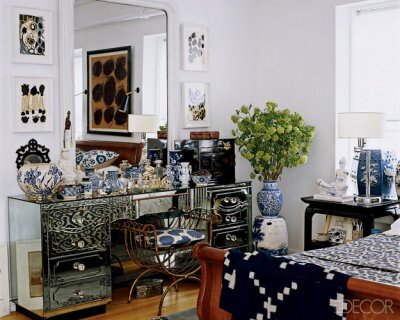 These pictures, below, from Elle Decor let us glimpse into Madeline's home in NYC. I love to see how designers/artists live and decorate for themselves. 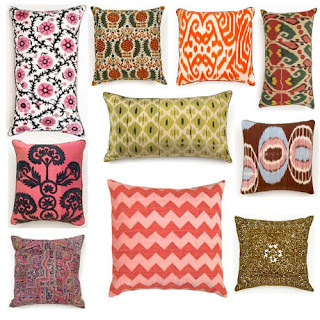 No doubt her eclectic collections have been gathered from far away places. You have read this article designer / Madeline weinrib / Spotlight on with the title Spotlight On: Madeline Weinrib. 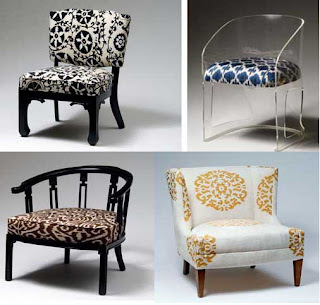 You can bookmark this page URL http://ourpicturewindow.blogspot.com/2010/10/spotlight-on-madeline-weinrib.html. Thanks! No comment for "Spotlight On: Madeline Weinrib"